Did your Father’s Day outdoor celebration come and go leaving you in the dark? 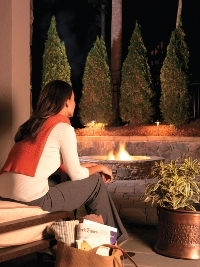 Do you regret not adding lighting to your outdoor living spaces sooner? I know you have all heard the phrase “hindsight is 20/20”, right? The phrase is actually a proverb that teaches a moral, meaning in hindsight things are obvious which were not obvious from the outset; one is able to evaluate past choices more clearly than at the time of the choice. With this in mind, you may have in fact found yourself wishing you had moved ahead with having your outdoor lighting installed prior to this past weekend’s Father’s Day festivities — hindsight. With all the outdoor living opportunities the warmer season brings, such as Memorial Day, Mother’s Day, Graduations, Father’s Day and Independence and Labor Day, it is a shame to have your outdoor celebrations cut short because of a lack of proper outdoor lighting. Outdoor Lighting Perspectives of Nashville wants to remind you that it is not too late to make the most out of your outdoor moments spent with family and friends. Now is the time to contact us to design and install your outdoor lighting to ensure all your upcoming outdoor celebrations are set to the right light. Outdoor lighting will allow carefree spontaneity and enable you to set the time the party ends, not the setting sun! 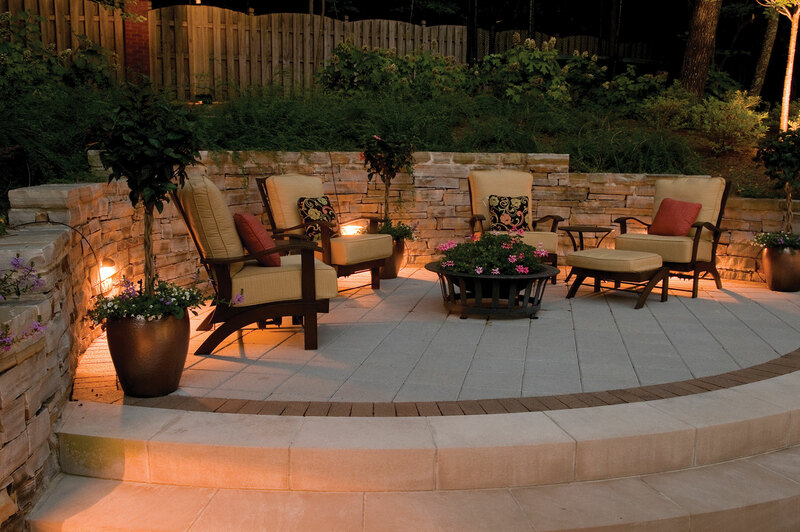 Outdoor lighting for your outdoor living spaces — You have an outdoor barbecue planned for family and friends. You have planned everything accordingly including a delicious menu, desserts and even backyard games for the kids! 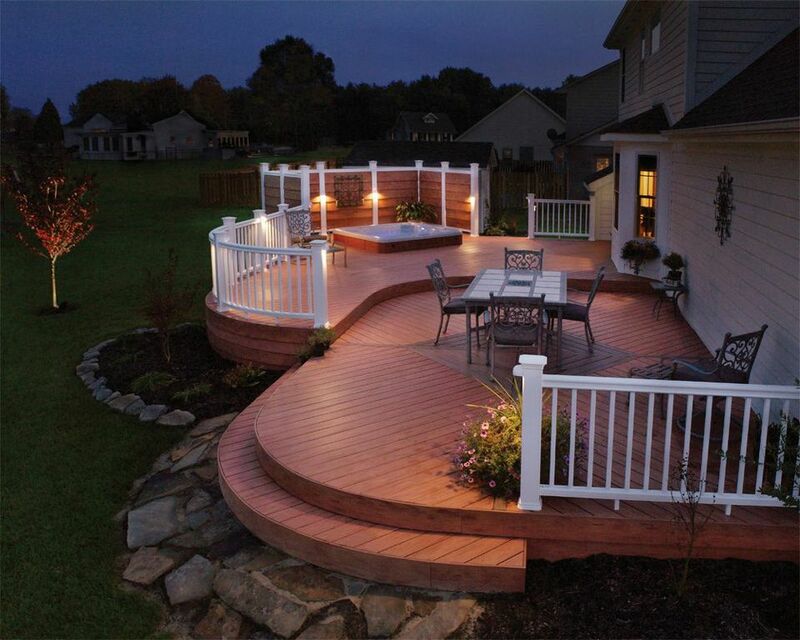 Unfortunately, you did not consider the lack of lighting on your backyard deck or patio, where the event is to take place. This is a case where professional deck, patio and landscape lighting would have been a huge benefit to the success of your gathering. We can even custom design lighting specifically for your grilling area or outdoor kitchen to give you a food preparation area that is well-illuminated. With outdoor lighting nightfall would have allowed you to remain outdoors with your guests, enjoying delicious barbecue, conversation and endless fun. If you had chosen an LED installation, which utilizes exclusive CREE LED technology, your outdoor lighting would have an added bonus: it would have meant fewer bothersome insects in your landscape and outdoor living areas than that of traditional outdoor lighting. 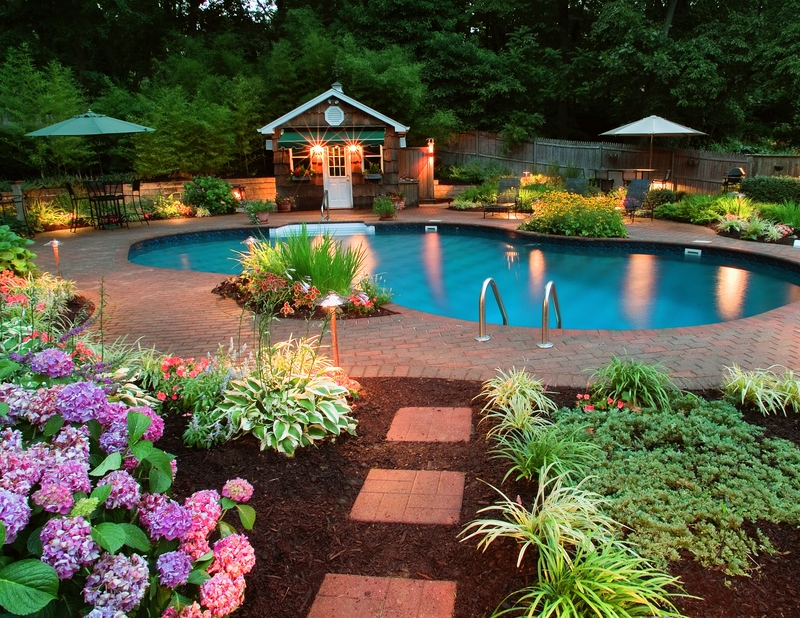 Enjoy all the benefits of landscape lighting integrated with pool lighting this summer! Outdoor lighting for the areas around your pool and spa — its summertime, after all, and you decide to throw a pool party in honor of your son or daughter’s birthday! You want this occasion to be special for your child, and his/her party guests. You carefully plan the games, refreshments, paper goods, music and party favors. The day of the event arrives and you soon realize you did not consider the party would extend past dusk! You soon realize you must move the entire party indoors because the lack of visibility around your pool becomes a risk for the attendees of the party. The solution to this situation would have been the addition of water feature lighting and landscape lighting to the areas frequented around your pool. Lighting would have made your pool area safer for party-goers, giving you peace of mind and delivering a one-of-a-kind party the kids will remember forever! Guest house and cottage outdoor lighting. Outdoor lighting for the areas around your guest house or cottage — You have company coming in from out-of-town this season, which will be staying in your guest house or cottage. You may have an exterior building on your grounds that has great architectural flair or that it visited often at night. It could be a guest house, cottage or some other type of outdoor building. You have the accommodations prepared for the comfort of your guests in mind, neat as a pin and ready for their anticipated arrival. Unfortunately you did not consider how dark entering and exiting the guest quarters could be for your friends or family to allow them to make themselves at home. 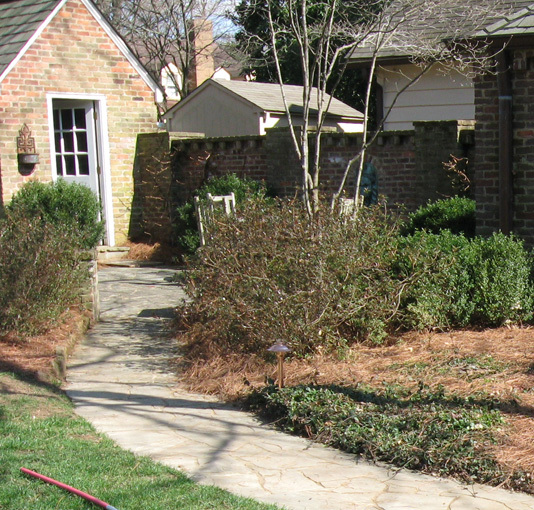 One of the best ways to alleviate dark pathways that lead to and from your home to other structures on your property is by the addition of path lighting. Our path lighting casts a gentle glow downward on the path and adjoining landscaping making evening travel safe and relaxed. You don’t want any overly bright light to obscure night-time vision, overpower the surroundings or lose the romantic effect that you have with such beautiful structures on a property — our path lighting delivers safety and style! This beautifully illuminated outdoor living room is bathed in rich , romantic energy-efficient low voltage outdoor lighting Perspectives. We hope these “real life” outdoor living scenarios have helped your realize just how much adding outdoor lighting could benefit you, your family and any guests that visit your home this season, and throughout the year. This entry was posted in Deck lighting, Landscape Lighting, Outdoor Lighting, Outdoor Lighting Installation, Patio lighting, Residential outdoor lighting and tagged CREE LED outdoor lighting technologies, CREE LED technology, Deck lighting will enhance the safety and function of your deck, Garden lighting, Landscape Lighting, Nashville, Nashville CREE LED lighting designs, Nashville deck lighting, Nashville Guest house and cottage outdoor lighting, Nashville guest house outdoor lighting, Nashville landscape lighting, Nashville LED outdoor lighting, Nashville lighting for guest houses, Nashville outdoor living space lighting, Nashville path lighting, nashville patio lighting, Nashville professional deck and patio lighting, outdoor lighting Nashville, Outdoor Lighting Perspectives of Nashville, the benefits of landscape lighting integrated with pool lighting by outdoorlightingnashville. Bookmark the permalink.